That quote from Gardner-Webb coach Tim Craft to open his postgame media remarks said a mouthful about the Runnin’ Bulldogs Big South Conference opener. High Point got 21 points from Miles Bowman Jr. and held Gardner-Webb at bay after a quick second-half burst, defeating Craft’s club 71-64 before 1,014 fans at Paul Porter Arena Thursday night. Gardner-Webb (7-7, 0-1 Big South) shot a blistering 52.2 percent (12-for-23) from the floor in the opening 20 minutes of the contest, on the strength of four Jamaal Robateau three-pointers. High Point (7-6, 1-0) shot just 40 percent in the period, but hung around after turning seven Gardner-Webb turnovers into 11 points. The Runnin’ Bulldogs also converted just 2-of-9 free throws in the period. The visiting Panthers emerged from the interval with a vengeance, knocking down their first six shots of the stanza and using a 10-2 run to turn a one-point halftime deficit into a seven-point lead. The tone of the game largely swung on that first four-minute stretch, a fact not lost on Craft. The Runnin’ Bulldogs indeed put together a 6-0 run near the midway point of the period, as back-to-back David Efianayi conversions cut the High Point advantage to two and forced a timeout from Panthers coach Scott Cherry. Efianayi again knocked down a bucket to cut the Panther lead to 46-45, but the visitors again pulled away, eventually stretching the margin as high as 11 points before finally salting away the contest at the free throw line. Gardner-Webb All-Conference forward Tyrell Nelson was largely held in check by the Panther defense, as a combination of fronting and doubling helped to limit the senior star to just four points on the evening. That effort and concentration on Nelson led to a huge game for sophomore guard LaQuincy Rideau. Rideau tallied 22 points on 8-for-16 shooting from the field, pacing all scorers. Robateau added 12, while Efianayi scored 11. High Point was led by Bowman Jr.’s 21, as the redshirt senior knocked down 9-of-13 tries, including 3-for-4 from distance. Seniors Anthony Lindauer and Tarique Thompson contributed 15 and 13 points, respectively. Lindauer added a career-high seven assists from the guard position. Both clubs continue their respective Big South Conference slates Saturday. High Point welcomes Longwood to the Millis Center for a 4:00pm (Eastern) tip. Gardner-Webb travels to UNC Asheville for a 2:00 tip at Kimmel Arena. HIGH POINT (7-6, 1-0 BIG SOUTH): Madison 2-9 0-0 4, Bowman Jr 9-13 0-0 21, White 0-2 1-2 1, Wright 2-3 1-3 7, Lindauer 4-12 5-6 15, Williams 1-2 0-0 3, Thompson 6-11 1-2 13, Vargo 0-0 0-0, Thomas Jr 0-0 0-0 0, Fox 2-3 3-5 7. Totals 26-55 11-18 71. GARDNER-WEBB (7-7, 0-1): Nelson 1-6 2-2 4, Niangane 1-1 0-2 2, Robateau 4-11 0-0 12, Rideau 8-16 5-10 22, O’Reilly 3-7 0-2 7, Turner 1-1 0-0 2, Efianayi 5-5 1-3 11, Miller 0-1 0-0 0, Laster 2-2 0-0 4. Totals 25-50 8-19 64. Halftime—Gardner-Webb 31, High Point 30. 3-Point Goals—High Point 8-13 (Madison 0-1, Bowman Jr 3-4, Wright 2-2, Lindauer 2-3, Williams 1-1, Thompson 0-1, Fox 0-1), Gardner-Webb 6-17 (Robateau 4-9, Rideau 1-3, O’Reilly 1-5). Fouled Out—None. 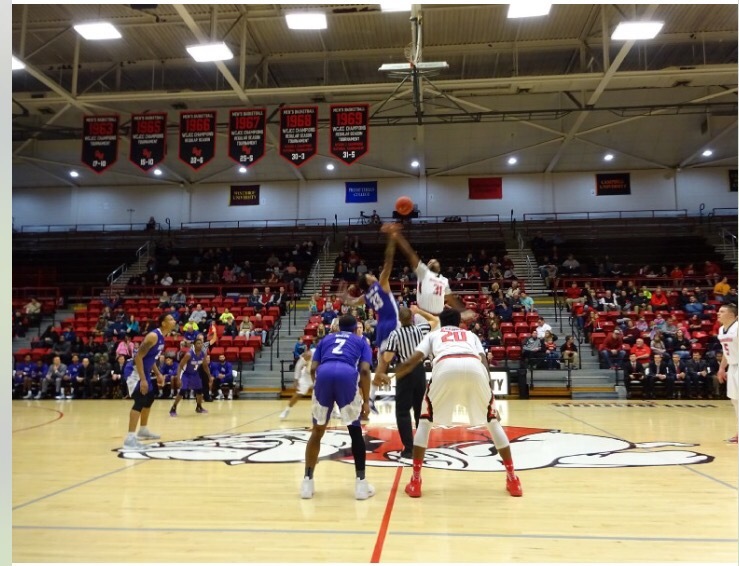 Rebounds—High Point 32 (Madison/Lindauer/Thompson/Team 5), Gardner-Webb 34 (Nelson 14). Assists—High Point 21 (Lindauer 7), Gardner-Webb 13 (Rideau 6). Total Fouls—High Point 17, Gardner-Webb 17. Technical—None. A—1014. Points in the Paint—Gardner-Webb 30, High Point 28. Points off Turnovers—High Point 20, Gardner-Webb 4. Second-Chance Points—Gardner-Webb 7, High Point 6. Fast Break Points—Gardner-Webb 12, High Point 9. Bench Points—High Point 23, Gardner-Webb 17.